The name says it all! 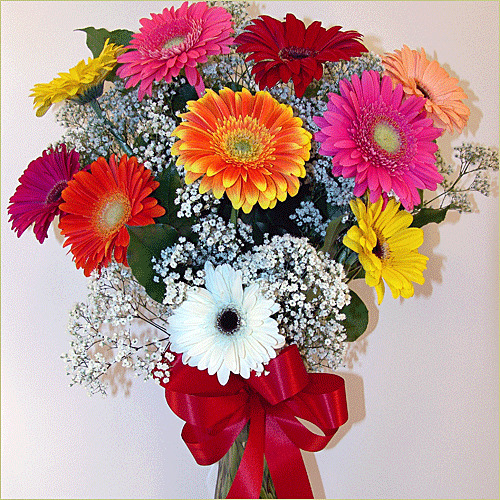 The famous gerbera daisies take the cake with this bouquet. Surrounded by fluffy gypsophilia, it’s the essence of softness!